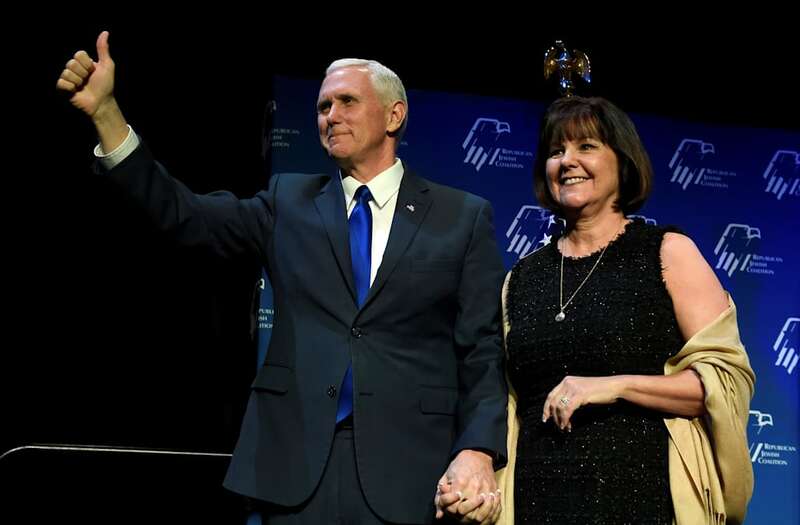 Second Lady Karen Pence showed off her dance moves on stage at a rally in Montana on May 12. She joined her husband, Vice President Mike Pence, and Interior Secretary Ryan Zinke at a campaign rally for Greg Gianforte. In the video, Zinke, who is wearing a cowboy hat, picks up the second lady and swings her around to the tune of "Only in America." She lands on her feet and finishes off the clip with a shrug.